PRESS RELEASE: Thailand International Freight Forwarders Association (TIFFA EDI Services) recently crossed a major milestone of achieving over 220 times growth in volume of EDI transactions handled since the implementation of Kale Logistics Solutions’ PING services on their ezyCompliance platform in 2014. Several other performance parameters such as savings of up to 80% on each on ENS / AMS filings and an increase of about eight times in MAWB filings were other significant accomplishments by TIFFA EDI Services. e-Freight is an IATA initiative aimed at removing paper documents from the supply chain and replacing the same with digital information exchange. It is an initiative developed with regional stakeholder representatives to eliminate paper Air Waybill (AWB) and replace it with electronic data interchange (EDI) message formats. The eFreight initiative is being implemented across several countries including Thailand. An AWB is a critical air cargo document that constitutes the contract of carriage between the ‘Shipper / forwarder’ and the ‘Carrier/Airline’. An e-AWB (Electronic Air Waybill) significantly simplifies the air-freight supply chain movement by removing paper air waybill. The initial focus has been on attaining 100% e-AWB worldwide. As Thailand is a key country in terms of AWB volume (and hence an e-AWB potential market), the focus for TIFFA EDI Services first has been to implement e-AWB and later expand the technology adoption to include e-Freight compliance. Thailand air cargo community has had the opportunity to lead the e-Freight compliance movement in the region with prominent industry bodies like Thailand International Freight Forwarders Association (TIFFA EDI Services) driving the technology adoption. Speaking about the collaboration, Amar More, Director, Kale Logistics Solutions, said, “It has been our pleasure and privilege to partner up with TIFFA EDI Services in their pathbreaking journey towards achieving this significant growth milestone. 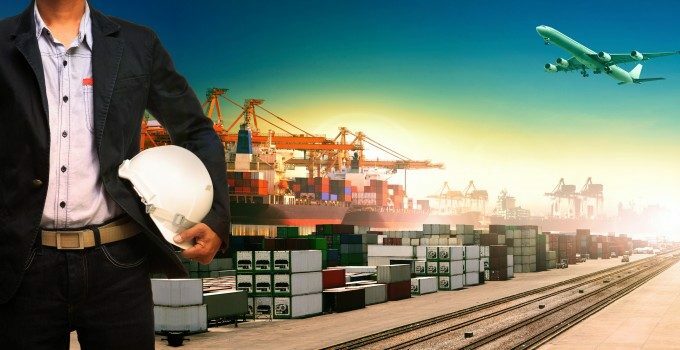 As a company, Kale Logistics Solutions is committed to empower and integrate all stakeholders of the logistics value chain to enable, accelerate and facilitate global trade. We are glad that we could provide the necessary technological innovation and support to TIFFA EDI Services for their growth story. PING services has capability to push the global e-AWB adoption globally and we strive to work towards creating digital air freight communities worldwide using such innovations”. percolating data to various stakeholders and facilitating the paperless exchange of trade-related information between stakeholders. Kale’s community and enterprise solutions cater to a wide network of Logistics Service Providers (LSPs) and help strengthen and improve their operational and business capabilities. With offices in Thane, Mumbai, Delhi, Dubai, and Mauritius, and 4500+ clients worldwide across 20 countries, Kale Logistics Solutions is a major player in the Industry. Kale’s solutions help Freight Forwarders, NVOCC, LCL Consolidators, Shipping Line Agents, Stevedores, Surveyors, Container Freight Stations, Equipment Control Providers, Vessel Charterers, Custom House Agents, 3PL, Warehouse Operators, Transportation Providers, other Logistics Service Users, and Airport Cargo Terminal Operators achieve faster growth, standardized processes and operational efficiencies.